Travel to Paris, one of the most beautiful cities in the world, and enjoy the gorgeous Hotel Lutetia while savoring Exclusive Complimentary Perks offered up when you book your stay across WhataHotel!. Situated in the middle of the Saint-Germain-des-Pres district in Paris, this ultra-chic hotel is the epitome of Paris style. 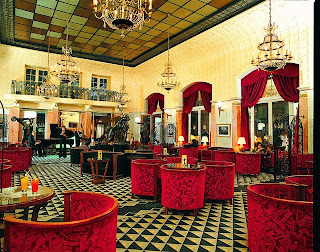 Come stay in the largest hotel on the Left Bank and realize French luxury, spirit and brilliance. 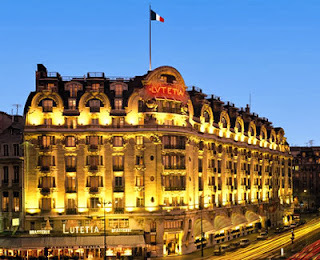 Hotel Lutetia is a great architectural example of Belle Epoque and Art Deco flair with a modern-day twist. Guests will find 231 unique rooms and suites that showcase a classic 1930's era style while still providing all of the necessary modern amenities expected by even the pickiest traveler. 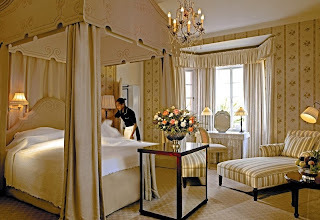 This contemporary hotel even boasts breathtaking views of the Eiffel Tower from a number of these fantastic rooms. Guests of the hotel can also find many other great conveniences while here. The well equipped fitness center is located on the first floor to ensure visitors can keep up with their workout regime while in town and for those needing to tend to a bit of work can visit the business centre that offers up a wide range of services. If relaxation is on the agenda during your travels, head to the Spa & Wellness center run by the prestigious Monmasseur company. It is a rejuvenating environment that is sure to help you unwind. 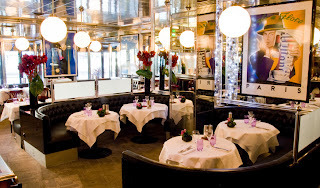 The French are known for their food and the Hotel Lutetia does not disappoint. Gastronomic delicacies are found at both hotel restaurants as they feature fantastic French food with a twist. 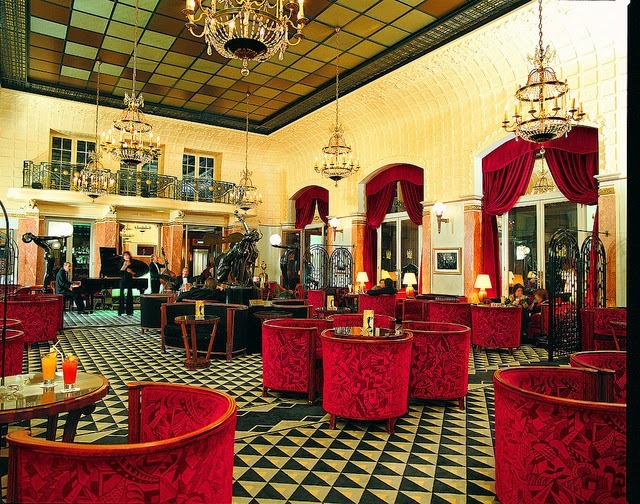 The Lutetia Bar is even known to attract a few famous faces, so be sure to enjoy a pre-dinner cocktail or a nightcap here at least once during your stay. 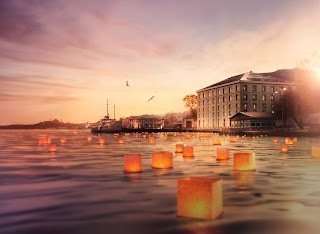 Of course if you are searching for any information, have any questions or special requests, the hotel concierge is available to assist you with all of your needs. Your time at Hotel Lutetia is sure to be filled with thoughtful service, state-of-the-art technology and elegant decor. 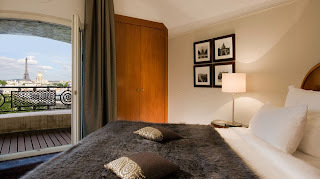 Located within walking distance of the River Seine, the Musee d'Orsay, Notre Dame Cathedral and some astonishing boutiques and fashion studios, Hotel Lutetia is perfectly placed for tourists that are in search of the ultimate French experience. When booking your stay across WhataHotel!, guests can enjoy Exclusive Complimentary Perks that are truly marvelous. 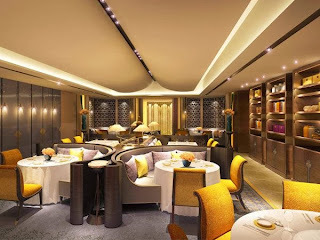 These perks include a full American Buffet Breakfast everyday for two, two admissions to the Musee d'Orsay, VIP treatment (turndown service, slippers and a bathrobe) and wireless Internet access. 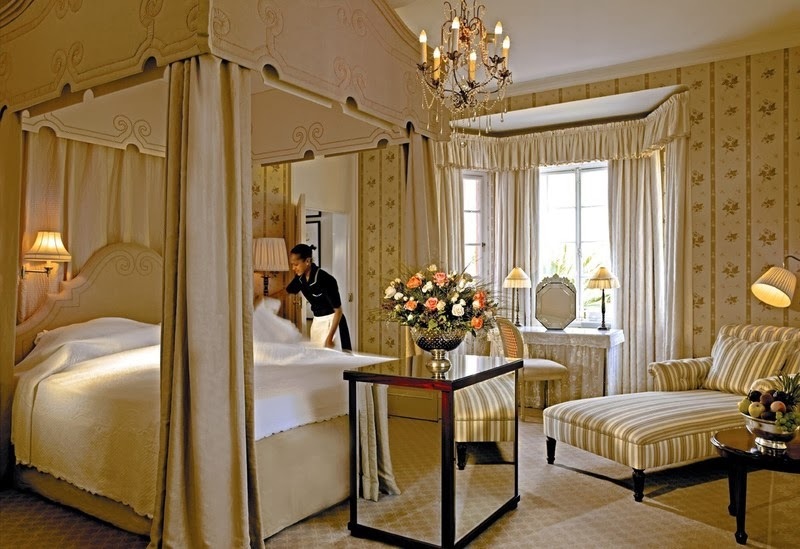 If you find yourself dreaming of the city of lights, but want to make sure you experience it in a hotel that embraces the French culture and lifestyle, look no further than Hotel Lutetia. Enjoy Exclusive Complimentary Perks alongside amazing Special Offers when you book your stay across WhataHotel! 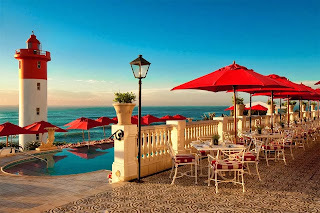 at The Oyster Box in Umhlanga Rocks, South Africa. This seaside hotel is located near Durban and is one of the most loved and luxurious hotels in this exquisite city and features a beautiful beachfront as well as amazing views of the lighthouse and Indian Ocean. 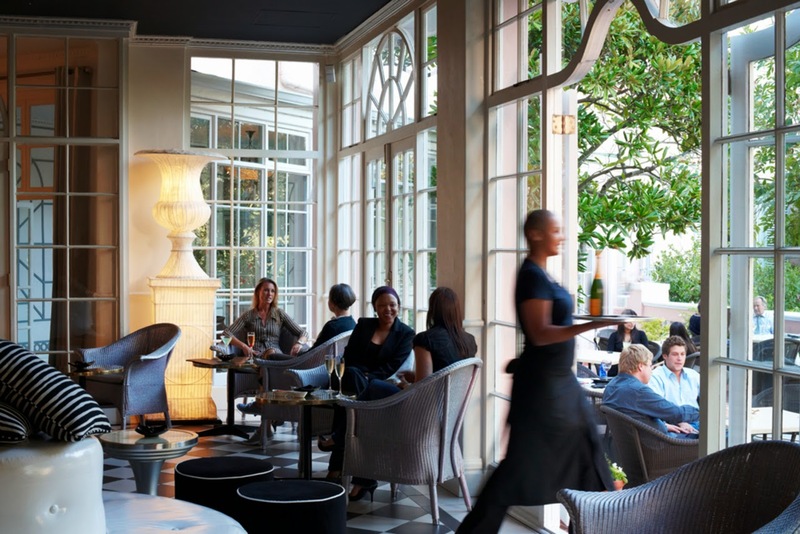 If you have always wanted to experience South Africa, but insist on doing it in style, look no further than a stay at The Oyster Box. Since opening its doors back in 1947, The Oyster Box Hotel has rapidly become (and remained) one of the most extraordinary hotels in Africa. 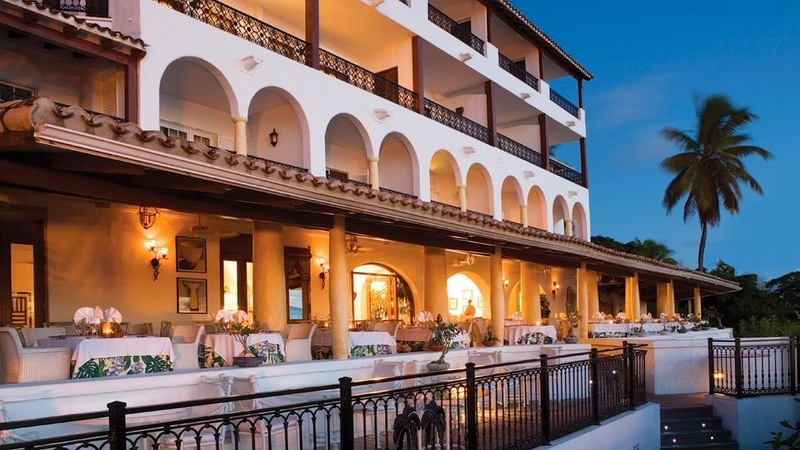 It fits perfectly into anyone's travel plans by serving up rich history, traditional charm, unprecedented service, gorgeous tropical gardens and a lovely beachfront location. Guests will fall in love with the immaculate uniforms worn by the gracious staff as well as the stunning details and top-notch amenities. With 86 rooms, suites and villas ready to welcome you with lush furnishings and casual chic decor, this refurbished hotel is truly superb. The fabulous conveniences found here also ensure everyone has a positive experience. The venues all feature spectacular views and the latest and greatest comforts. 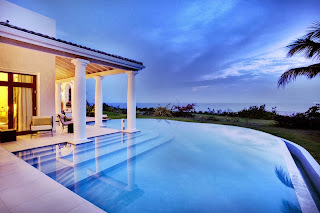 The pool is set amongst gorgeous gardens while the cozy red and white striped loungers await. If you are traveling with your kids, the Holiday Club is sure to entertain them while they are being fully supervised. There is also a business center for those that need to get a bit of work done and a cinema featuring daily films. The Spa is one of the leading spas in South Africa and treats guests to a restorative treatment that will are personalized. 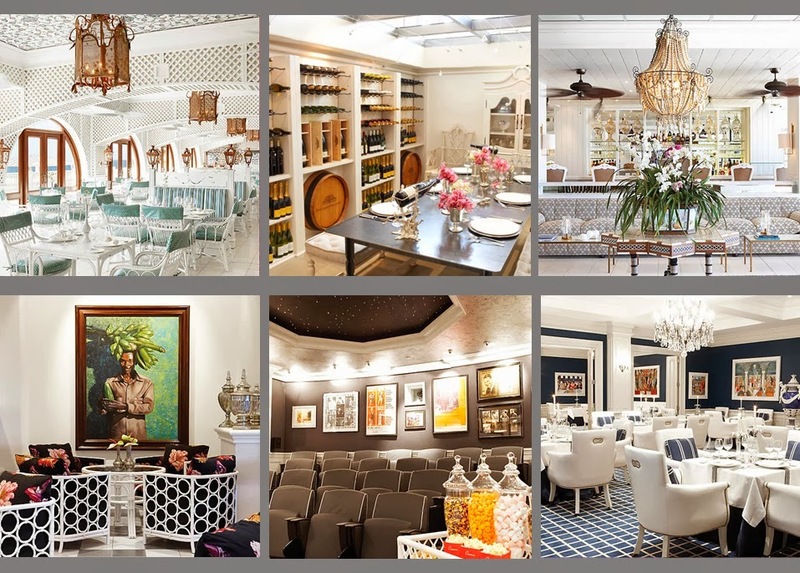 The dining at a hotel like The Oyster Box impress with carefully crafted menus that will meet, and likely exceed, expectations. The Grill Room offers fine dining while The Ocean Terrace provides a meal with a view. Sit back and relax while enjoying afternoon tea served here daily or sip some South African wine at one of the hotel bars. This hotel serves up the very best to their very lucky guests. South Africa is a much loved vacation destination that presents tourists with a wide variety of exciting activities. This beautiful oceanfront town of Umhlanga Rocks is famous for its pristine beaches, exciting watersports, and boutique hotels, but is also a great destination for wine lovers, golf enthusiasts, adrenaline junkies, history buffs and of course the shopaholics. When you book your travel here with WhataHotel!, guests can revel in Exclusive Complimentary Perks and combinable Special Offers for a fantastic deal. 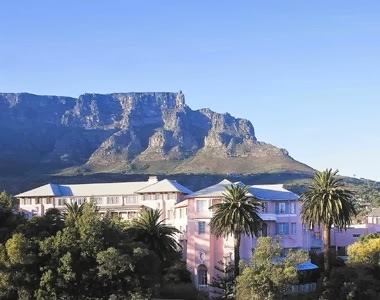 These perks include available upgrades, full breakfast for 2 daily, a Curry Buffet Dinner for 2, one Afternoon Tea for 2 per stay (3 night min suite stay req), and options for early check-in and late check-out. 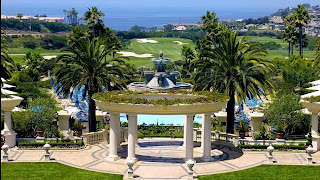 Additionally, savor the reward of not only a 4th night free that includes fresh oysters and sparkling wine at your breakfast, but also complimentary use of the Spa's Hamman between 8-10, complimentary use of the fitness center and last but not least, scheduled transfers to the Gateway Theatre of Shopping daily. These phenomenal perks and special offers make certain that when booking your stay with WhataHotel! your trip will be absolutely remarkable. Savor the All-Inclusive amenities found at a resort filled with luxury, and when you book your travel across WhataHotel! 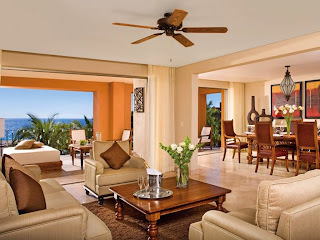 at Zoetry Casa del Mar Los Cabos you can enjoy exceptional perks that are out of this world. Upon arrival to this gorgeous resort, guests are greeted by a charming cobblestone pathway and a fabulous fountain. This hacienda-style boutique resort is one of the finest establishments in Los Cabos, situated near villas and vacation homes, it is the perfect place for guests to enjoy a private getaway. 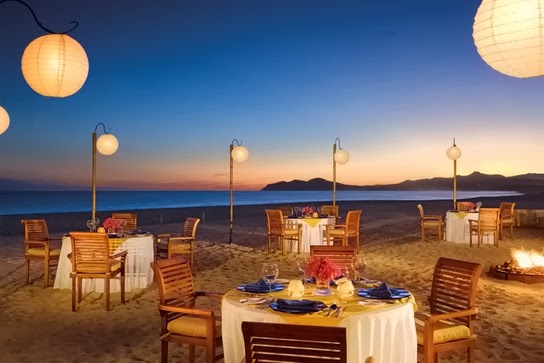 This resort is a romantic retreat and presents guests with an unforgettable getaway in a truly beautiful Mexican seaside town. 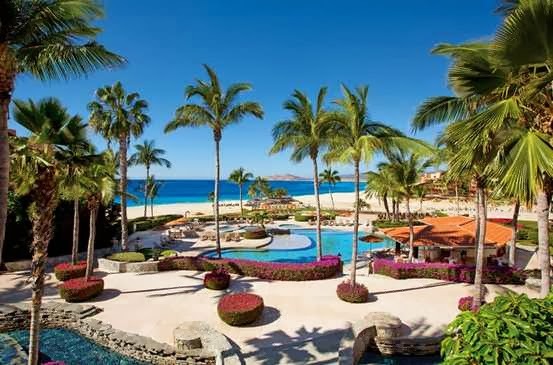 Zoetry Casa del Mar Los Cabos is nestled near the white sand beaches and the turquoise waters of the sea, it features Endless Privileges® to ensure every need is easily met. 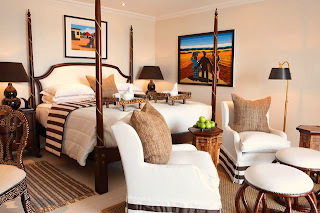 These privileges include stunning rooms and suites with the finest linens and traditional furnishings, delicious food, beverages and specialty cocktails, 24 hour private in-room dining, and so much more. For guests looking to relax, the wellness center offers up massage and facials that are sure to please. But if you are searching to live a healthier life, void of stress, anxiety, sleep issues and other personal health problems, Zoetry is proud to present a revolutionary approach to optimal health. This program along with the beautiful resort amenities, delicious food options, exceptional services and comfortable interior spaces will create a vacation destination that you will not soon forget. When booking your stay across WhataHotel! to this spectacular all-inclusive resort, guests can enjoy Exclusive Complimentary Perks that are remarkable. 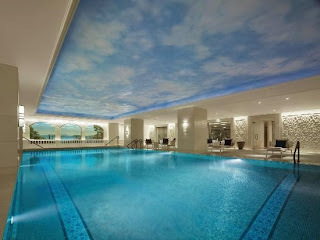 These perks include a 50 min spa treatment x 2 and a welcome amenity making certain a fantastic trip will be found. Travel to Los Cabos, Mexico where the beaches are pristine, the shopping is authentic, the food is mouth-watering and the golf is absolutely extraordinary. Add a stay at the ultra-chic Zoetry Casa del Mar Los Cabos for a positively monumental getaway. Discover an exciting desert adventure, while enjoying Exclusive Complimentary Perks, when you book your travel through WhataHotel! at the lovely La Quinta Resort in California. La Quinta, a Waldorf Astoria Property, was recently named a top destination for those in search of a fun and exciting trek through the desert by Sunset Magazine. With a stay at this luxurious La Quinta Resort & Club, your trip is sure to be fantastic for everyone. 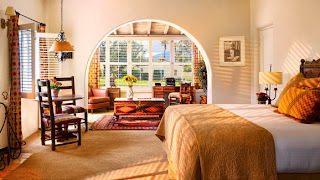 La Quinta Resort & Club is situated at the entry of Coachella Valley and the Santa Rosa Mountains. This stunning location is home to gorgeous granite, desert plants and awe-inspiring views. It also promises a great place for every type of hiker, both new and experienced. 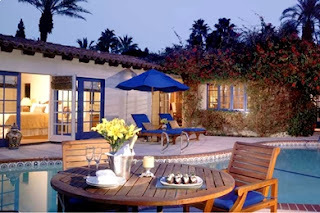 La Quinta offers a grand experience in a setting of 45-acres of beautifully landscaped grounds. The Spanish style casitas, suites and villas are comfortable, and some even offer private patios and fabulous fireplaces. Your mind and body can enjoy a bit of rest and revitalization at Spa La Quinta or lounge by any one of the 41 tempting pools that are located just steps outside your door. 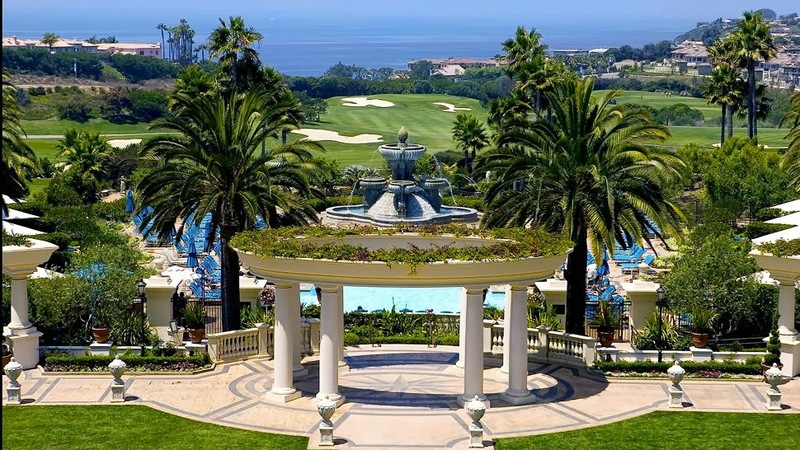 This amazing resort features delicious dining options, an assortment of high-end boutiques, access to remarkable tennis courts and for those that crave a game of golf, five championship golf courses. Of course the always helpful concierge would love to assist you in planning a hike through the surrounding area, where you can enjoy the desert beauty, with the mountain-tops as your backdrop. This isolated locale is the perfect vacation getaway, but close enough to the big travel hot-spots of Palm Springs, LA, Orange County and San Diego if you feel the need for a bit of excitement. 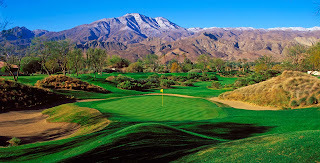 La Quinta Resort & Club offers phenomenal service and stylish decor, in the ultimate desert setting. When booking your travel across WhataHotel! at La Quinta Resort & Club, you can discover Exclusive Complimentary Perks that are simply divine. Revel in available upgrades at check-in, continental breakfast for you and a guest and a $100 food and beverage credit for use during your time here. These perks, alongside the spectacular service provided by the famed Waldorf Astoria Hotel, allow guests a once in a lifetime stay. 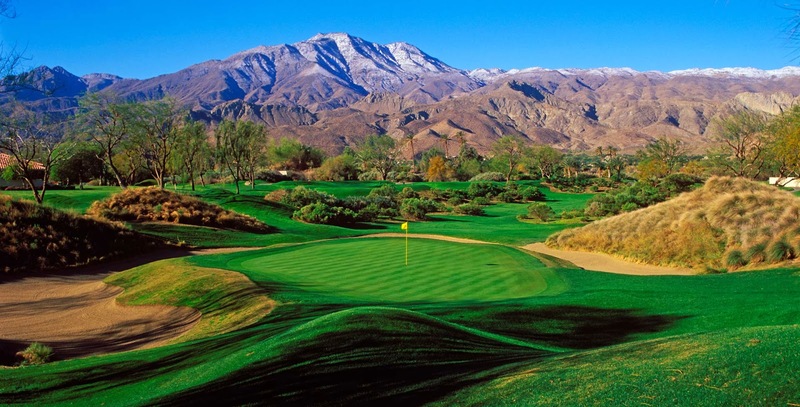 If you have the need to experience the nature and wonder of the desert, but also wish to stay in a resort with amazing amenities and the finest staff, look no further than La Quinta Resort & Club, a true oasis in the middle of the sweltering California desert. Relish in Exclusive Complimentary Perks at a favorite Chilean vacation destination, Easter Island, when you book your stay at the Explora en Rapa Nui, Posada de Mike across WhataHotel!. This lodge was the very first LEED certified hotel in South America, built on 23.7 acres of land on a hill in the Te Miro Oone area. It overlooks the ocean and is less than 5 miles from the most populated part of this intriguing island. Get ready to experience the mystery of the island, as well as the enigmatic culture that still remains today, when you visit this remote tropical locale. Being a LEED Certified hotel means that Posada de Mike Rapu has a minimal impact on its surroundings. 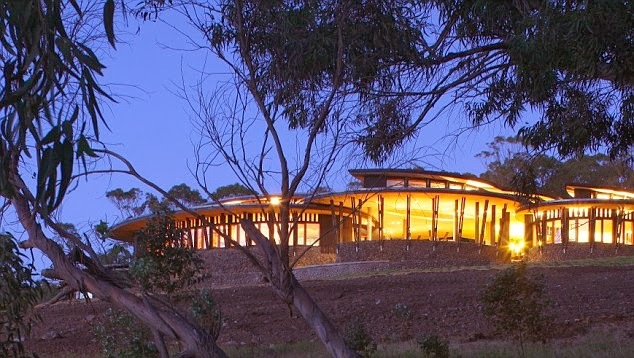 The actual site of the hotel was selected because of it's inability to be used for agriculture and for the fact that it has no archaeological significance. 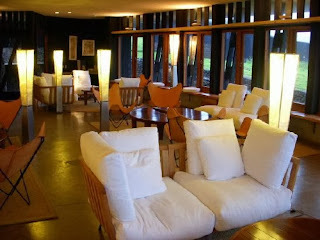 Posada de Mike Rapu opened its doors in December 2007 and features a retreat filled with luxury. Stay in one of the 30 rooms that present breathtaking views of the ocean and are designed for a quiet and intimate stay. 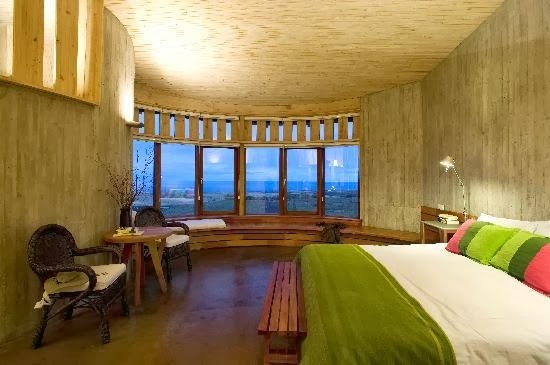 Pine wood and warm-colored concrete are used in the decor and to ensure your time here is completely relaxing, the rooms are television free. All of the central indoor spaces are welcoming and stylish while integrating aspects from the local culture to give the hotel an authentic feel. 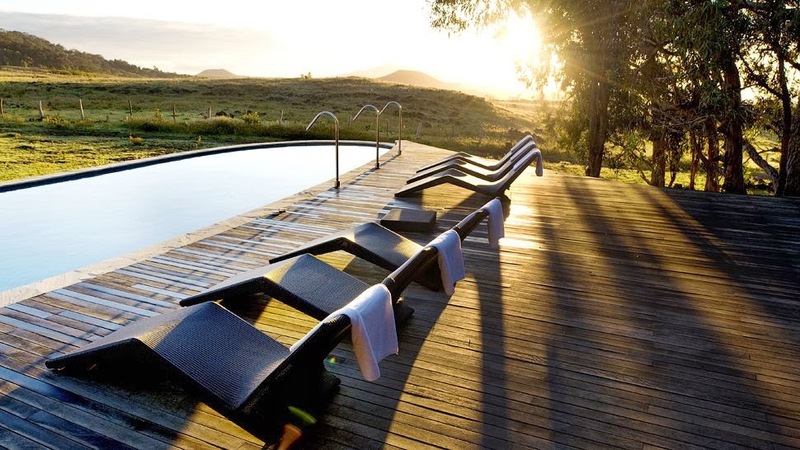 Guests can enjoy the beautiful swimming pool, a solar-heated Jacuzzi and a fabulous poolside bar or plan a treatment at Hare Taheta, located next to the pool area, for a therapeutic massage and a bit of relaxation. There is also a lovely lodge shop where you can purchase special clothing, exploring gear, books, jewelry and handmade gifts. When hunger strikes, visit the hotel restaurant for elegant meals with original flavors and only the best quality ingredients. These healthy meals are perfect for those heading out for a trek or exploration of this exciting island. When booking your travel to Easter Island with WhataHotel!, guests can enjoy Exclusive Complimentary Perks that are impressive. These perks include available upgrades, a unique gift from Eastern Island Artisan and a bottle of lovely Chilean wine. Alongside the all-inclusive amenities and spectacular service found here, these perks are sure to create a spectacular vacation. 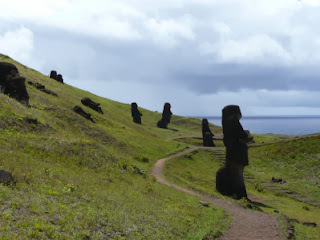 Visit the ancient faces that seem to haunt the landscape of Easter Island, explore the gorgeous rough terrain and hear fascinating historical stories during your time at Posada de Mike Rapu. This is sure to be the trip of a lifetime, and with a stay in a hotel that will pamper and please, completely unforgettable. Find historic charm and stylish sophistication when you book your stay across WhataHotel! at the dynamic Faena Hotel Buenos Aires, where you can also enjoy Exclusive Complimentary Perks that are simply remarkable. This breathtaking hotel provides modern extravagance situated in a city filled with a vibrant culture and exciting sights. 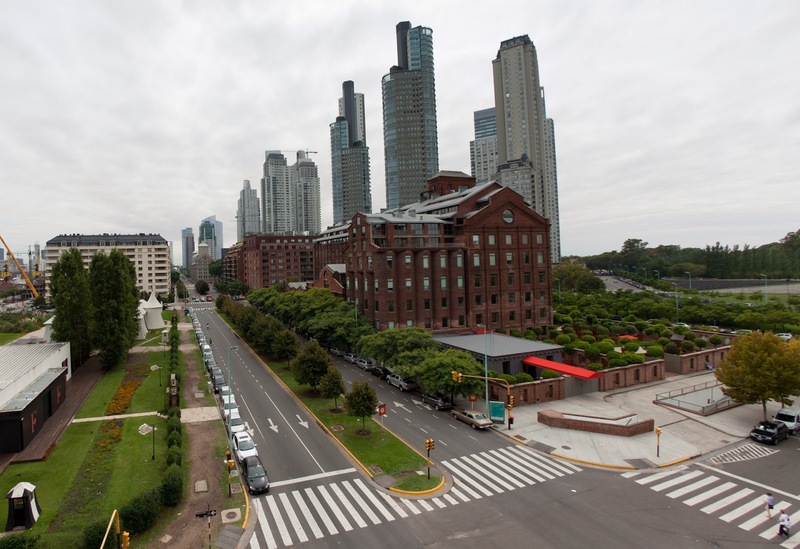 Buenos Aires is known for it's beautiful beaches and riveting nightlife, so pack your bags and get ready to enjoy this remarkable city and very original Argentinian hotel. Faena Hotel Buenos Aires is a contemporary hotel that is housed in an early 1900's grain mill in Buenos Aires' compelling waterfront district. Lovingly restored by the collaboration between famed Philippe Starck and Alan Faena, this hotel features astonishing details and unprecedented elegance. 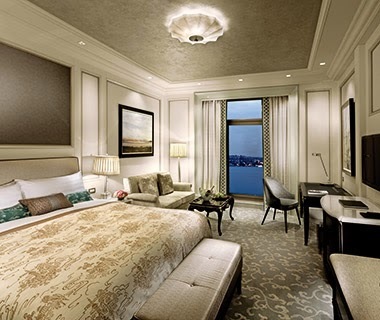 Guests can stay in one of the 108 gorgeous rooms and suites with loads of style and many modern conveniences. There is a beautiful pool to cool you during those hot South American days and the rejuvenating Faena Spa and Turkish bath will entice guests to relax and unwind. This opulent hotel also presents guests with two theaters that put on award-winning live shows for an experience unlike any other. 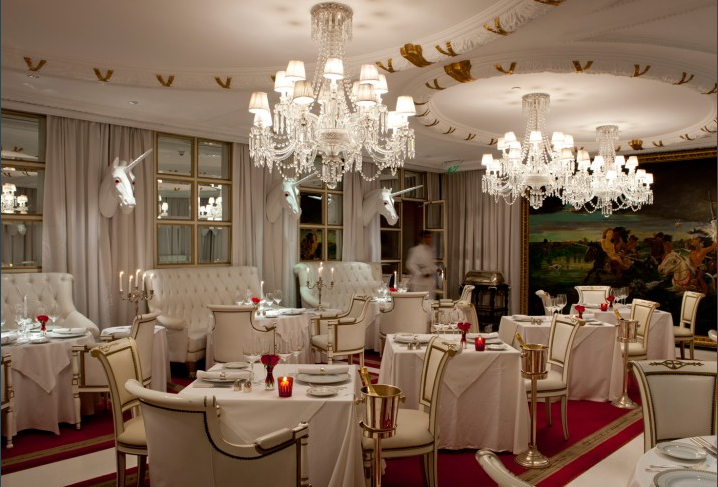 The cuisine in Buenos Aires is amazing, and the Faena Hotel has two delightful restaurants (and some inviting bars and lounges) to ensure that your food and beverage selections while you're here are delicious and unforgettable. And during your stay, make sure you stop by the main exhibition room where you can see the rebuilt machine room from the early 1900s. This hall has tall ceilings, arched and bay windows and loads of natural light that showcase perfectly the international artists that display their works in this space. 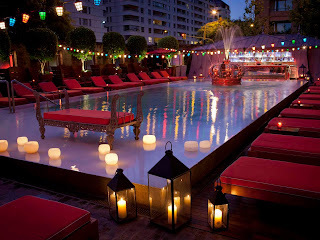 The Faena Hotel Buenos Aires is a rare gem in the hotel industry, promising guests unprecedented service and amazing amenities as well as some pretty unique entertainment. When booking your time at this fashionable hotel with WhataHotel!, guests can enjoy Exclusive Complimentary Perks that are divine. These benefits include available upgrades, a buffet breakfast for two, one way transfer from the hotel to the airport, a bottle of wine and options for early check-in. With these added perks, guests can enjoy their time here and feel completely pampered. Come to the vibrant city of Buenos Aires and fall in love with the past and the present at the Faena Hotel Buenos Aires. When the weather gets a bit too cold, plan a trip to sensational St. Martin, when you book your stay at La Samanna Resort & Spa with WhataHotel!, guests can enjoy Exclusive Complimentary Perks that are completely awe-inspiring. 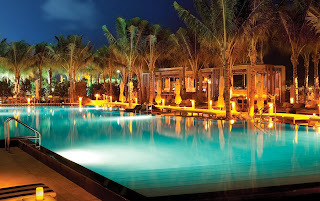 This award-winning resort is situated on the picturesque island of St. Martin in the Caribbean and promises tourists enviable beaches, spectacular views, prime duty-free shopping and a vibrant and exciting night-life. Whether you fall in love with the French side of the island (St. Martin) known for great shopping and dining or the Dutch side (St. Maarten) beloved for pulse-pounding night clubs and casinos, there is no doubt you will discover a true island paradise. Upon arrival at the La Samanna Resort & Spa, you will immediately recognize limitless luxury and impeccable service. There is no doubt why this fantastic locale is continually ranked in the top 10 hotels in the Caribbean by Travel & Leisure Magazine. The over-the-top-quality is found everywhere you look. 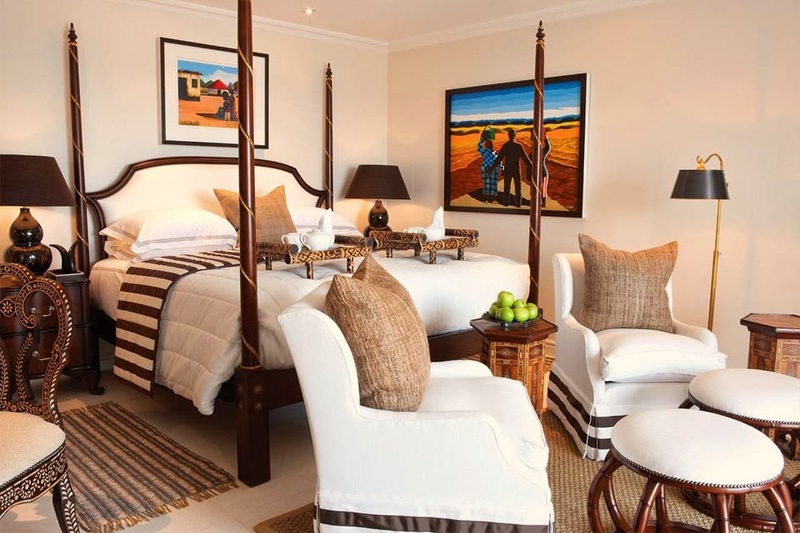 Guests can choose to stay in one of the deluxe ocean-front rooms or go big and enjoy one of the plush 3 bedroom cottages. This gorgeous also resort offers some impressive amenities to ensure guests have an unforgettable vacation. Lounge by one of the two pools to cool your skin or hit the beach and enjoy the luxurious bamboo cabanas for a bit of rest and relaxation by the sea. Tennis courts and a fitness center will ensure that you can keep up with your workout regime while on vacation and a 24-hour business center provides a place for guests that have to keep in touch with the "real world" during their stay. The La Samanna Spa promises head-to-toe pampering with a plethora of treatments and services that will absolutely impress. Any fabulous vacation MUST include a variety of mouthwatering food and beverage choices, and the La Samanna Resort will not disappoint. Delight in delicious meals prepared and served either in a chic yet casual style or a sophisticated fine dining setting, while guests can also partake in robust wine selections or a signature cocktail at the lounge or beach bar. There is no doubt that this resort features stylish decor, beautiful views and incredible conveniences that will make your vacation one for the books. When booking your stay at La Samanna Resort & Spa across WhataHotel!, guests can revel in Exclusive Complimentary Perks that are truly thrilling. 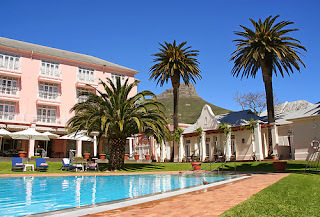 These perks include available perks at time of check-in, a daily buffet breakfast for two, lunch for two, a welcome fruit basket and, when you book a 5 night stay, a great wine and cheese tasting. These benefits are sure to add a bit more flare to your stay. So if you desire a bit of warmth when the temperature dips below 30, check out St. Martin and the impressive La Samanna Resort & Spa. 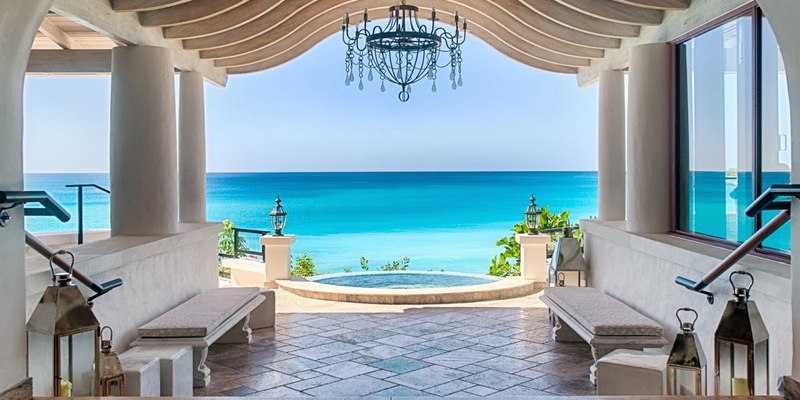 Luxury and extravagance awaits on this relaxing yet posh Caribbean island. 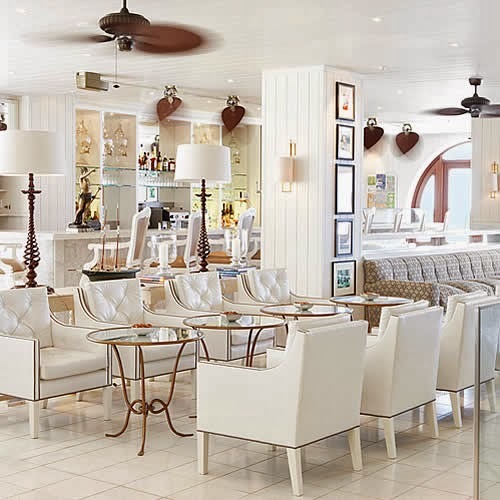 South Beach is no doubt a hip destination and when you book your stay at the ultra-chic W South Beach across WhataHotel guests can stay in style while also enjoying some fabulous Exclusive Complimentary Perks. Miami is a playground for the rich and famous and South Beach just happens to be the prime location for everything fabulous. 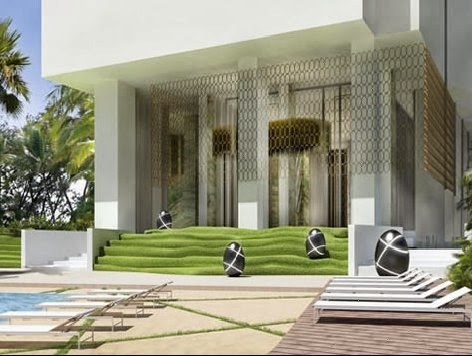 When planning your travel to this famed destination, guests will find luxurious accommodations, impressive service and amazing amenities when they stay at the W South Beach. 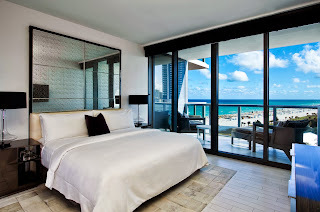 Located on the beautiful beachfront in stunning South Beach, this top-notch hotel invites guests to enjoy the energy and excitement of the area. 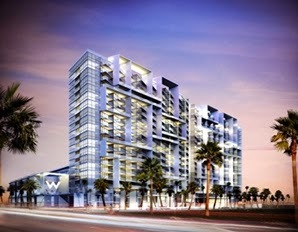 The W Hotel Group is known to offer guests an escape from the ordinary. A place where iconic design and contemporary luxury are combined with extraordinary experiences, and this South Beach location is no different. 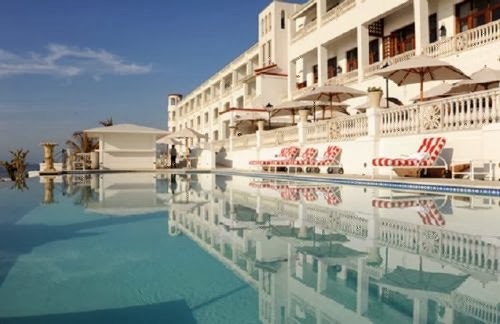 This spectacular hotel features amazing amenities like a scrumptious pool with comfortable loungers and private cabanas and of course easy access to the pristine beach where you can watch the waves kiss the gorgeous white sand. Both of these locations will cater to your every need with a staff that is ready to deliver ice cold drinks and light snacks. South Beach is all about extravagance, so guests should look at booking some time at the inspiring Bliss Spa for a relaxing treatment or indulge in some tasty treats at one of the hotel's alluring dining establishments. Guests can find comfort in any of the 337 rooms or bungalows, all offering outstanding views of the ocean, signature W beds, fully wired technology and so much more. And you can't travel to Miami without experiencing the hot nightlife, so pack your dancing shoes and get ready to paint the town red. The W South Beach has managed to blend the eclectic Miami vibe with the posh W Hotel feel to create a destination that is, simply put, very cool. When booking your stay at the remarkable W South Beach across WhataHotel!, guests can enjoy Exclusive Complimentary Perks that will blow them away. These perks include upgrades at time of check-in, continental breakfast for two every day during your stay, a $100 resort credit and options for early check-in or late check-out. If you are ready to treat yourself to a trip filled with sophistication and opulence, head to South Beach. 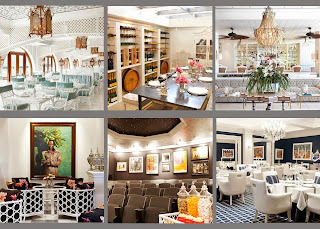 Filled with history, excitement and fashion, this city, and the outstanding W South Beach, will not disappoint.